Complete rebuilding and repairing on all types of air & hydraulic construction equipment. 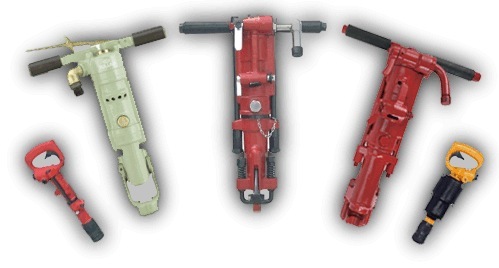 Specializing in rebuilding and salvaging old & obsolete jackhammers and paving breakers. 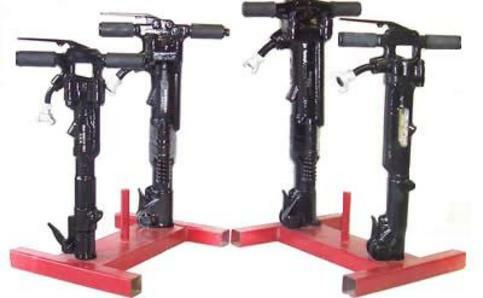 Complete rebuilding and repairing on pionjar gasoline tools. We can rebuild, repair, and tune your pionjar at 1/3 or less the cost of buying a new tool. Complete overhaul includes: rebuild cylinder, piston and hammer assembly to standard specs. Replacing all piston rings, gaskets, o’rings, filters, spark plug, replace any necessary broken or missing parts, adjust and tune engine, breaking and drilling power to peak performance. Clean, test and paint. We would like to introduce you to our company, and to explain our services in the rebuilding and repairing of all types of air and hydraulic construction equipment. Our trained staff of mechanics and machine operators are fully qualified, professionally trained air tool specialist you cantrust, with your construction equipment rebuilding. From the very first day Tech Tool started in business, each tool that enters our shop receives specialized individual treatment. Each tool is disassembled and expertly inspected to determine the extent of wear and damage. Upon your approval the tool will be rebuilt and repaired back to original condition and efficiency. After rebuilding process is complete, tool is reassembled and inspection and operational testing is done. All work is guaranteed against defects in workmanship and materials. If a tool should fail or fall below Tech Tool's guarantee of efficiency for any reason other then normal wear or abuse, the tool will be repaired free of charge, during the term of the warranty. Worn-out and weak air tools can be rebuilt back to 100% efficiency, saving you hundreds of dollars compared to buying new tools or going to the original equipment manufacturer for parts and repairs. DON'T THROW AWAY YOUR OLD & OBSOLETE AIR TOOLS! So, if your air tools are not working properly, losing power, or just need a tune-up please don't hesitate to call one of our trained personal, to help you solve your equipment problems. 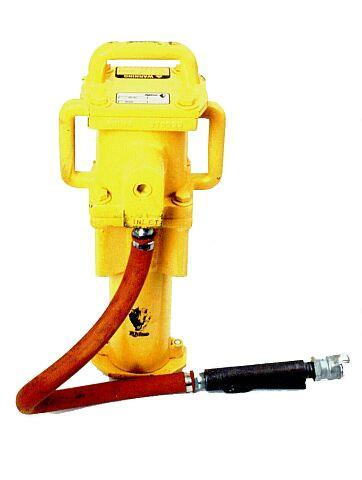 Rhino Post Drivers can be renewed by rebuilding the cylinder I.D. and both piston O.D.’s to the proper tolerance. Using industrial hard chrome and finish grinding to standard specs your post driver will have the hitting power it once had when it was new, at a fraction of the cost compared to buying a new tool. Become worn from years of use? Remained sluggish even after you replaced parts? IF SO, YOU WILL BE AMAZED AT THEIR "LIKE NEW "
PERFORMANCE AFTER WE REBUILD THEM! In today's economic conditions, it often pays to repair tools. Tech Tool has been repairing air tools since 1988. We may be able to help you get more productive life from your equipment. Tech Tool repairs air tools in our fully equipped repair shop. By combining our extensive rebuilding, machining and manufacturing capabilities, the air tools that we repair are as close to new performance and efficiency as you can get without buying a new tool, at a much lower cost. By rebuilding the most important parts in your air tool, the piston, cylinder and valve your old tools can have top performance for much less then the cost of a new replacement tool. We restore the original hitting power by rebuilding the worn piston, cylinder and valve to the original tolerances. 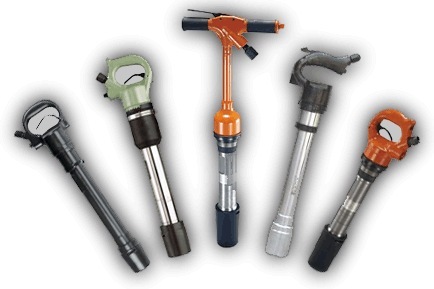 Here at Tech Tool we have the knowledge and the resources to provide you with quality pneumatic tool repairs and services. We understand that the tools you use within your company are vital to the job being done. So how can we help you when your tools need servicing or repair? SO, IF YOU DEMAND THE BEST QUALITY AND TOP PERFORMANCE WITH A FAST TURNAROUND, GIVE OUR COMPLETE REBUILDING SERVICE A TRY!